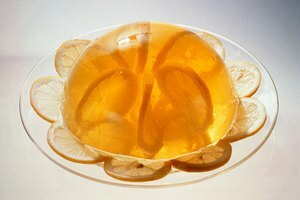 Adding fruit to gelatin often means watching the fruit sink to the bottom or finding most, if not all, of the fruit on the bottom of the bowl after the gelatin has set. Instead, you want the fruit spread out and suspended throughout the gelatin so that you'll taste fruit in every spoonful. Use the proper preparation methods to suspend the fruit or create a fruit layer in the middle. 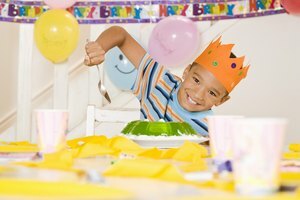 Some gelatin instructions recommend avoiding certain fruits - mango, kiwi, papaya and pineapple, for example - that have enzymes, which prevent gelatin from setting. If you want to use these fruits, add them after the gelatin has firmed up or use them as toppings when the gelatin is served. 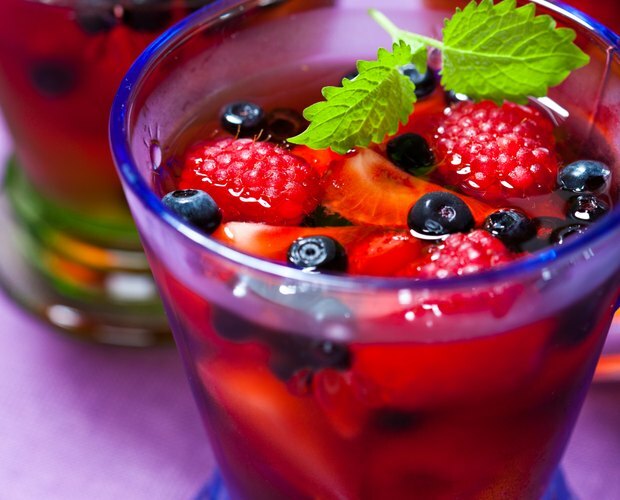 Thaw frozen fruit before adding it to gelatin and drain juice or syrup from canned fruit; the extra liquid can prevent the gelatin from firming up. Wash fresh fruit and cut it into smaller pieces before adding the chunks to the gelatin. Prepare the gelatin as directed by the package and place the covered bowl in the refrigerator. Allow the fruit to become partially set or lightly thickened. The consistency should resemble light and lumpy pudding. Add in the fruit and fold gently with a large spoon to distribute evenly. Return the covered bowl to the refrigerator until the gelatin is fully set. After preparing the gelatin according to the package instructions, pour half the mixture into a bowl and place in the refrigerator to firm. Set aside the remaining prepared gelatin to use later. Allow the gelatin to set partially or until the surface will hold the fruit. Spread fruit on top of gelatin and cover it with the remainder of the prepared gelatin you set aside earlier. 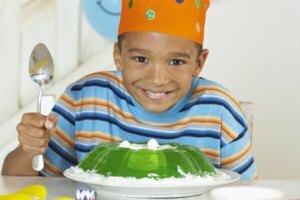 Carefully return the covered bowl to refrigerator and leave it until the gelatin is completely set. 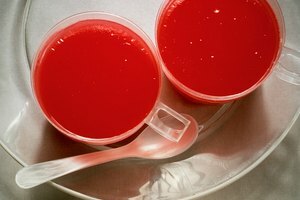 Place the remainder of the gelatin in a separate bowl and place both bowls in the refrigerator to set. Once the gelatin is partially set in both bowls, add the fruit to one bowl and spoon the contents of the second bowl over the fruit. To add fruit, prepare the gelatin in a bowl and refrigerate until it's partially set. Add the fruit to the thickened gelatin and spoon the mix into a lightly greased or oiled gelatin mold. Place the mold in the refrigerator until the gelatin is fully set. Follow the directions provided by the mold manufacturer to remove the gelatin from the mold. 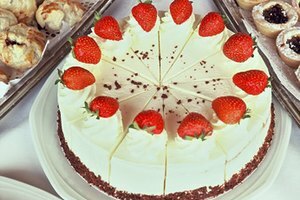 Scientific American: Solidifying Science: Why Can Certain Fruits Ruin Your Gelatin Dessert?